Worried about who touched the tissue box in your home or office. 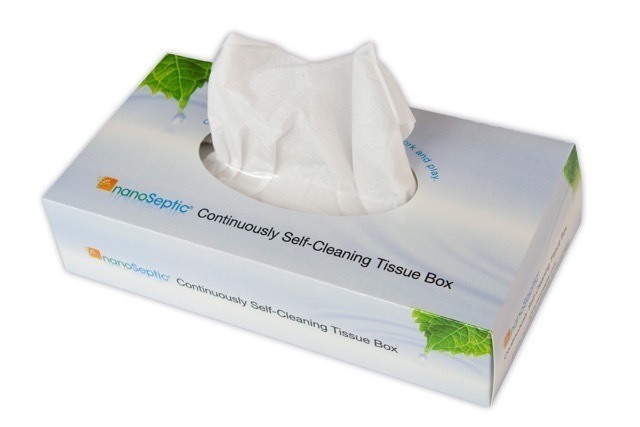 Now you can protect that tissue box with a NanoSeptic continuously self-cleaning cover. Features a water-resistant surface. Ships flat and assembles with simple tab/slots. Also features business card slots, allowing businesses to brand as a promotional item. Does not include tissue box or tissues.